In 2018, Liverpool looks back on the 10 year anniversary of becoming European Capital of Culture as the only city to have so comprehensively documented its journey since the bid stage, over 20 years ago. The ground-breaking original research programme, Impacts 08 — together with its successor research programme, Impacts 18 — collectively represent an unprecedented 2 decades worth of evidence on the impact and value of the EU awarded European Capital of Culture programme as a catalyst for urban change. 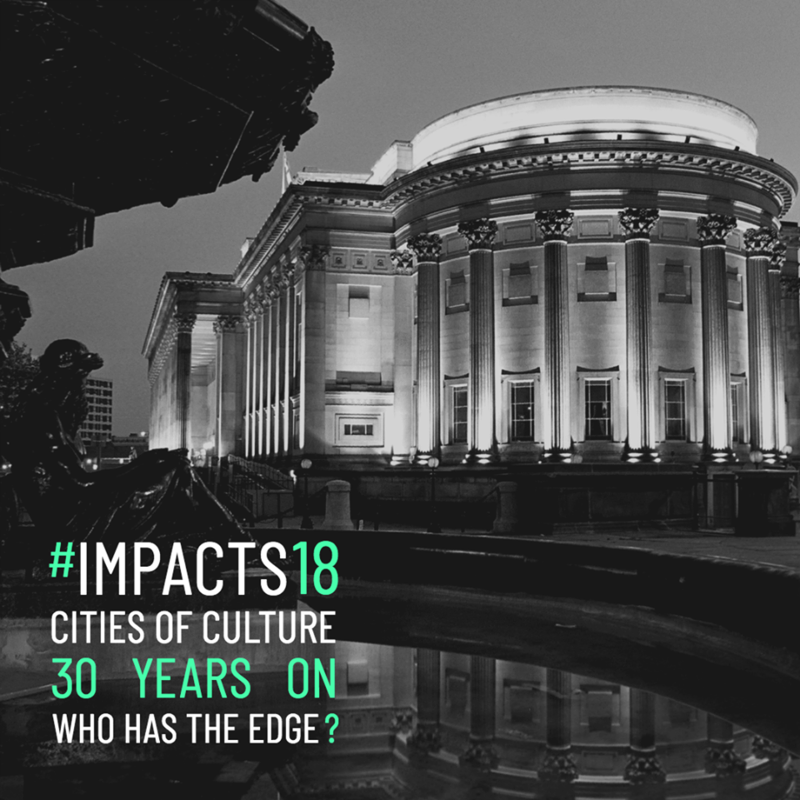 In October 2018, the Institute of Cultural Capital is partnering with Culture Liverpool, CreArt and the British Council for a 2-day international symposium dedicated to discussing the long term impact of hosting major events — in so doing, underlining the case for the value of culture as a catalyst for change in cities more generally. The symposium will discuss opportunities as well as challenges — in particular, what it takes for cities to maintain a distinctive and competitive edge, in an era where becoming a ‘city of culture’ is a common aspiration. Featuring conversations with cities from the UK, Europe and beyond, these discussions will consider not only the rewards that can be reaped by event-led regeneration, but also the barriers to, and risks of, success.